August 27, 2013 By Tina M 18 Comments This post may contain affiliate links. Read my disclosure policy here. 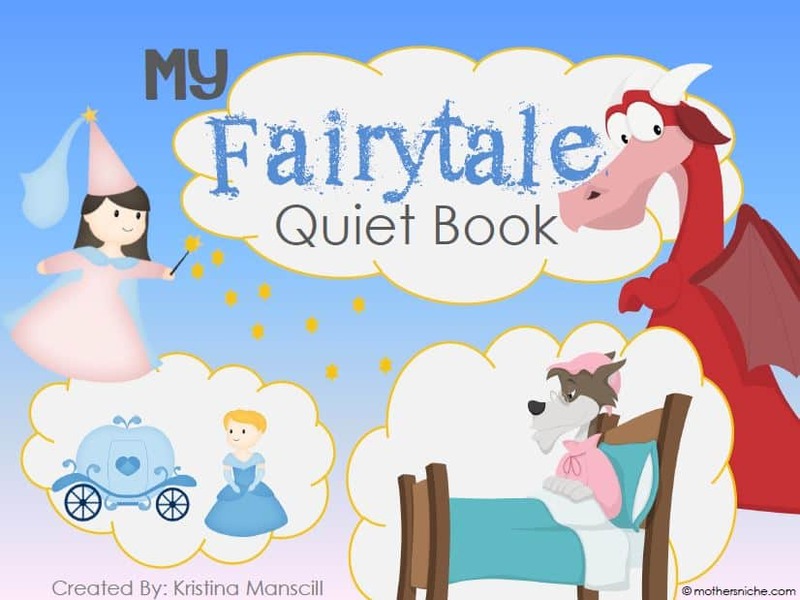 For those of you that have been asking: I’m very excited to present the 3rd printable Quiet Book! This one was very fun for me to create as it is Fairytale version! What kid wouldn’t love that? Not sure how to put this together? 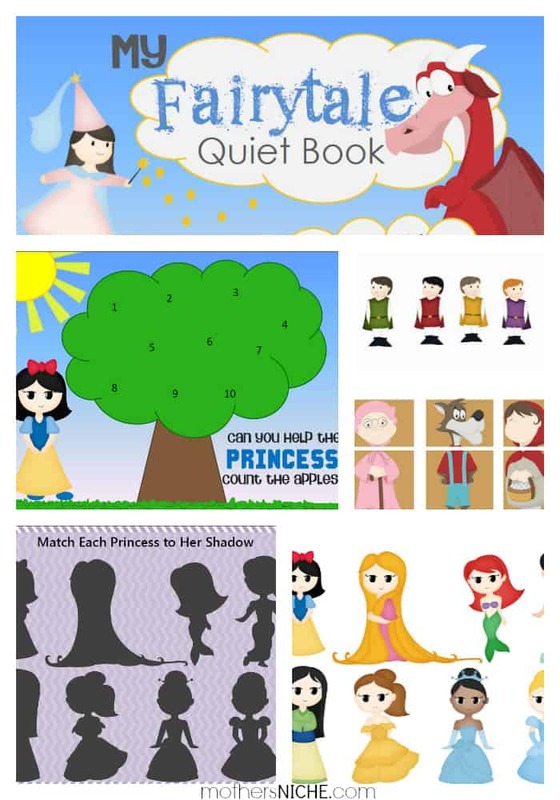 Visit my previous post on printable quiet books. ATTENTION SEWERS: maybe the correct word is seamstress. Anyway. If you love to sew and you have a blog, I would love to offer you the quiet book printables for free if you want to put a tutorial on your blog for making a cloth version. I tested a few pages using t-shirt transfers onto felt and bound it with grommets and it worked great! I’m just not talented enough to feel comfortable doing a tutorial on the sewing part. People will laugh at me. So if you’re interested, shoot me an email under the “contact” section of my blog. A couple of ideas: You could attach the pieces with velcro or even use snaps. If you find a way to do magnets, that would be fun too! Here is my attempt at snaps. I’m not even sure I did it right. Again, this is NOT my territory. Pick me, Pick me!!!!! These are soooo cute!! Pick me ! – cute ! I thought I already commented last night, but it didn’t work! PICK ME! I have two little girls under 3 and they would love it! 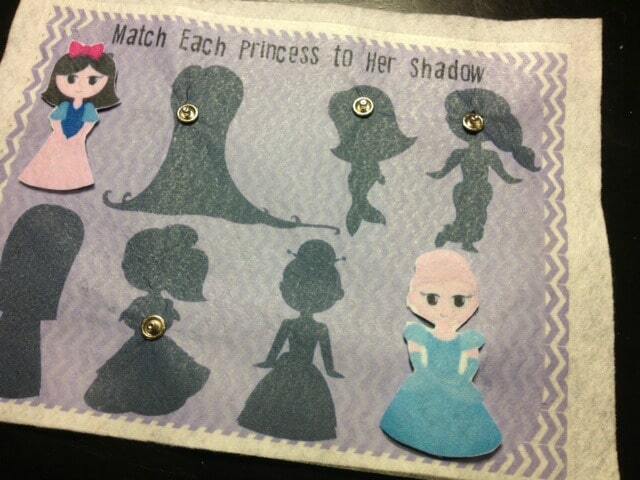 This is such a wonderful idea because cutting out all the pieces of felt are time consuming. 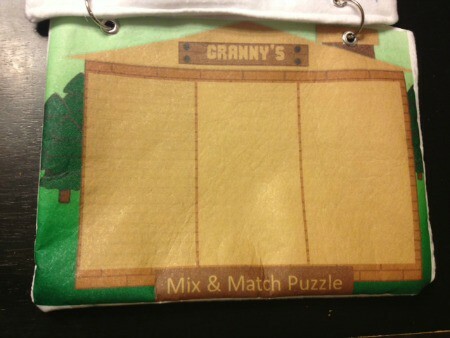 This will make my life as crafty Nanna easier. Thanks so much. pick me im your niece! So if I purchase these then you just send the printables to me and I have to put them togrther? do the printable work on felt? how d i mirro image this? Just before i print his….thanks! 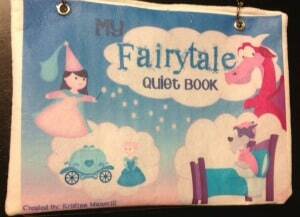 Is this quiet book no longer available in your Etsy shop? I don’t see it there, and I think my daughter would love it!